Montserrat has signed on to the instrument establishing the Caribbean Centre for renewable Energy and Energy Efficiency (CCREE). 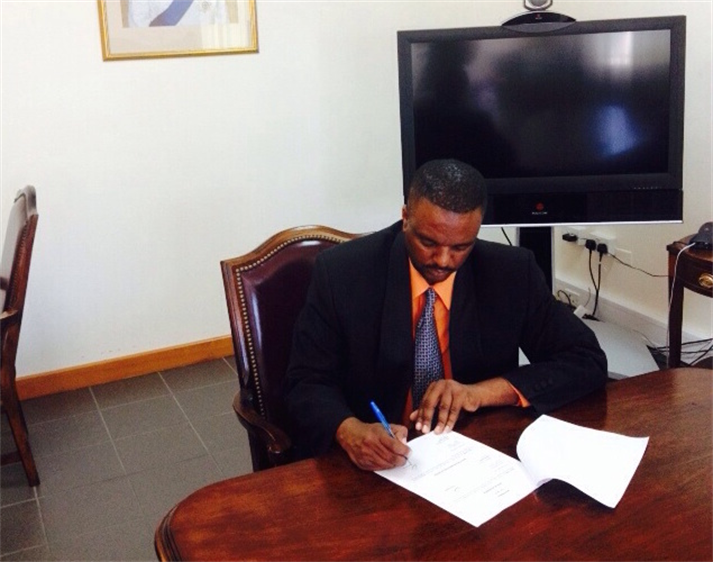 Following initial signatories to this effect by the Honourable Premier Donaldson Romeo and Deputy Premier Delmaude Ryan, Honourable Energy Minister Paul Lewis signed and handed over the ratification document Tuesday at a meeting he’s attending at the CARICOM Secretariat in Guyana. He is accompanied by Civil engineer in the Public Works Department of the Ministry of Communications, Works, Labour and Energy, Felix Persaud.